Alex: Every Wednesday on Twitter, I pick a comics issue that caught my eye and do an illustrated thread of little observations and stuff I enjoyed about it. 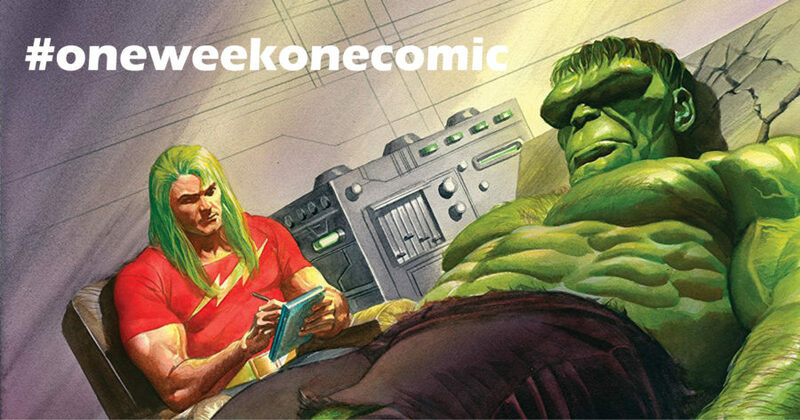 It’s called #oneweekonecomic, and I’m collating each thread into its own blog post. 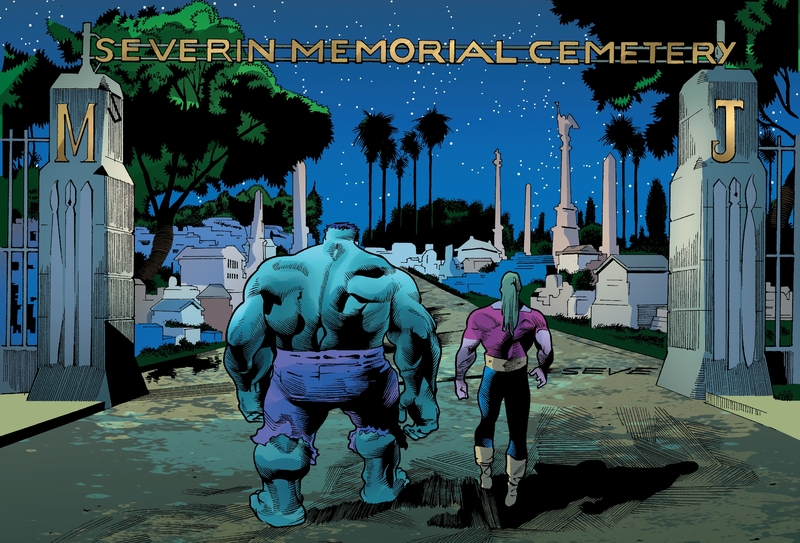 This week, we’re covering Al Ewing/Joe Bennett’s IMMORTAL HULK #15, the latest from one of my very favourite books. Some plot spoilers after the cut. Continuity is rarely something I’m interested in, but Ewing’s ability to find the emotional throughline in characters’ fictional histories, even when whittling the events down to less than a Wiki summary, is always remarkable. Samson presents his death as “a simple, perfect moment” – and we see that crystallised in a three-panel sequence that, set at an angle, looks to me like a page from an older comic book, pinned down by the rectangles at its corners. It’s one of a few ways this issue (and the series) uses the tilted-panel layout. 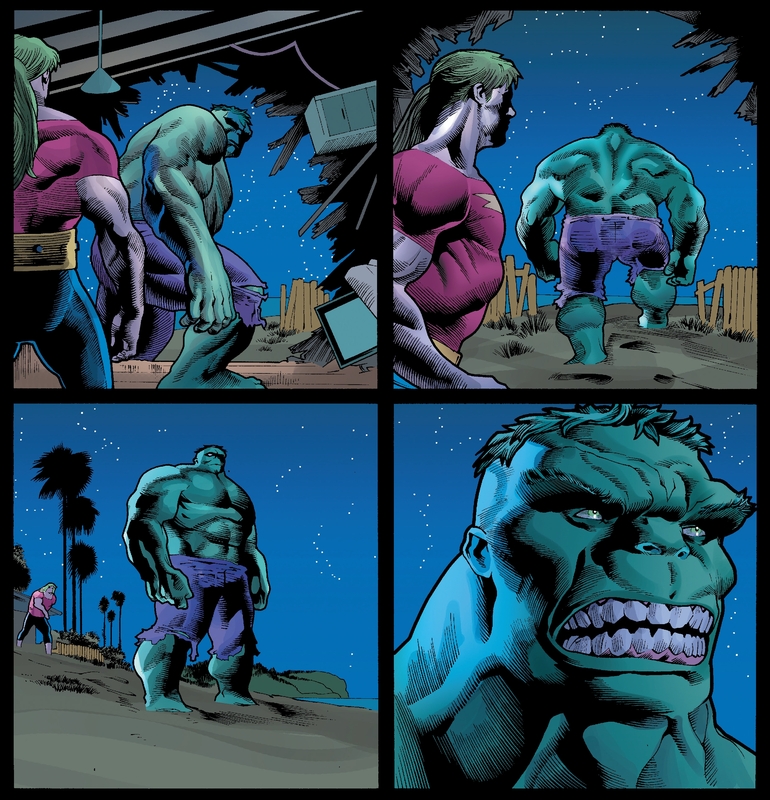 Immortal Hulk‘s standard rhythm is a grid of regular rectangular panels surrounded by black. It took five whole issues before a Bennett-pencilled page first broke this pattern, so the shift is always worth noting. 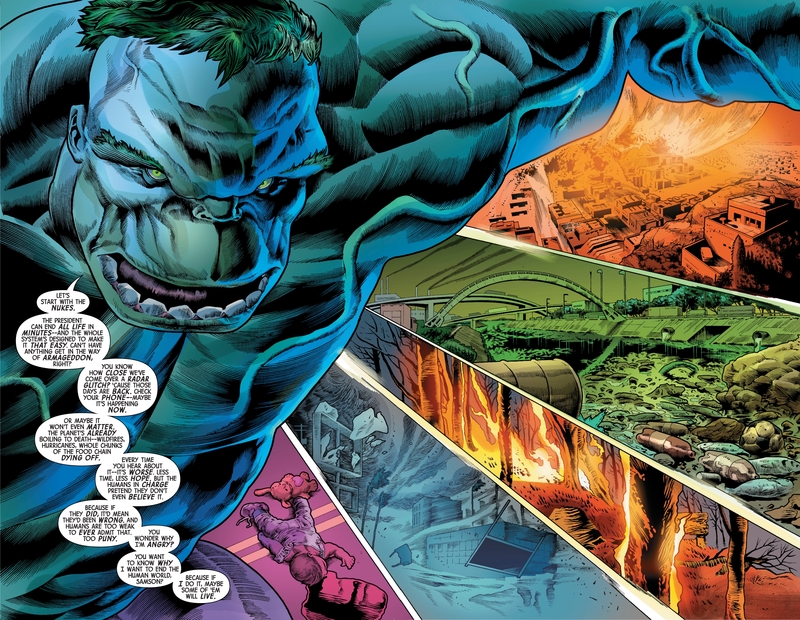 Generally, Immortal Hulk uses this layout switch to show order breaking down into chaos. 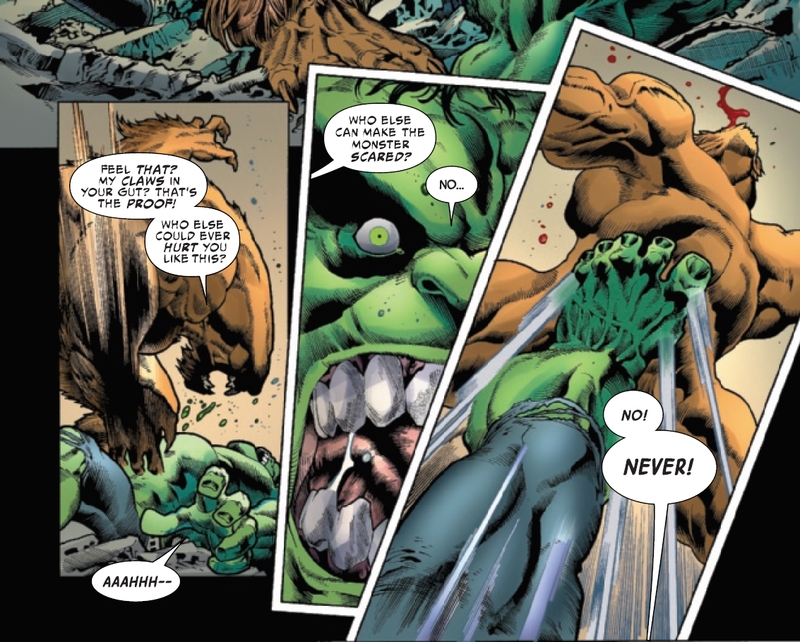 Ewing’s Hulk is very controlled, even systematic in his violence. 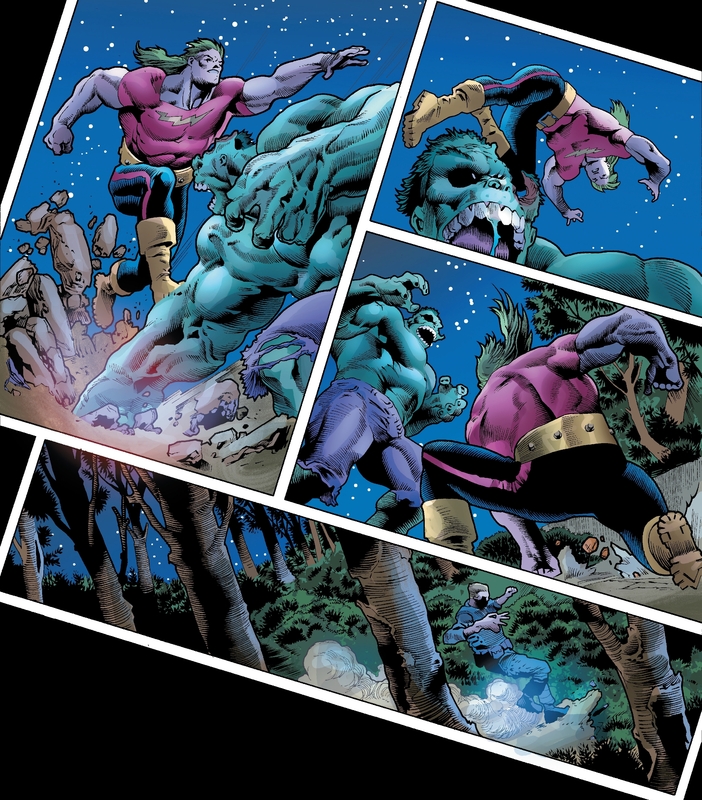 The very first deployment of these slipping panels showed him losing control – the unstoppable monster becoming a victim of fear. I actually think this issue is doing something different with the two layout schemas, though. 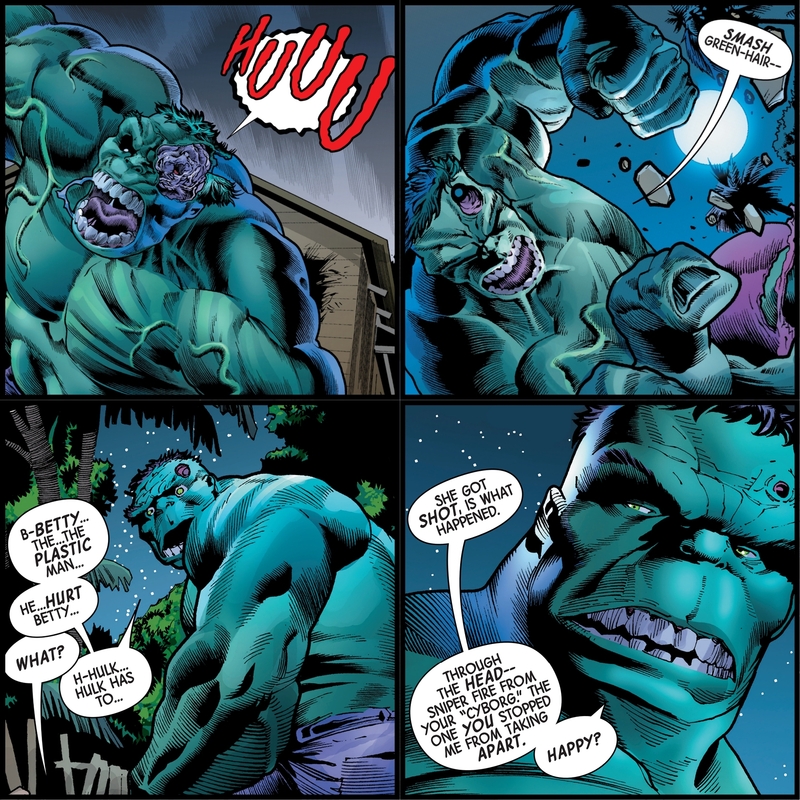 While the slice-of-life and weirder horror elements use the grid, tilted panels are saved for a more traditional superhero battle between Samson and Hulk. Note how each punch and jump impacts on the gravity of its containing panel, pushing down the corner where they land. This is a classic method for making static comics action feel more dynamic, lending weight to each hit. 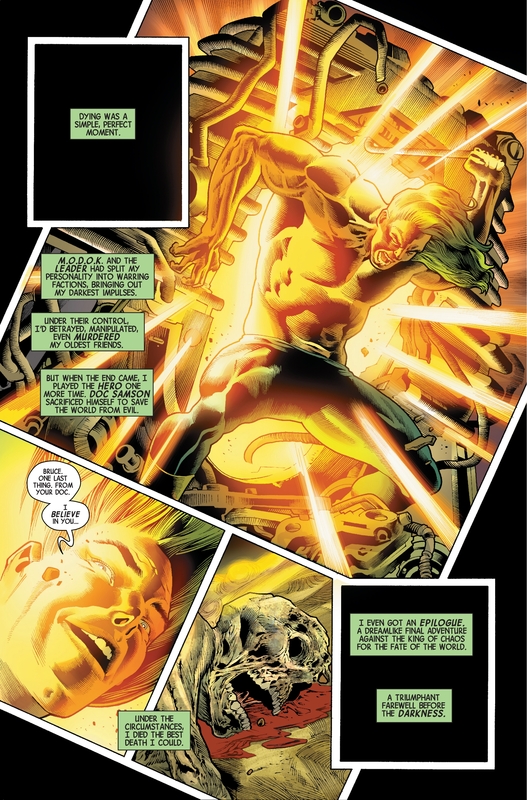 Given what Samson says about his death… I think the tilted panels here represent a move into genre narratives that are simpler to handle emotionally, compared to, say, deciding whether you should reach out to an estranged friend in need. It’s an inversion of the book’s usual order/chaos dichotomy that I can’t quite get my head round, but maybe it has to do with Samson’s personality? I don’t know the character that well, but the way he brushes off the darkness with a joke feels very Peter David, one of the creators most associated with Samson. An example of those smaller human problems: this lovely panel feels almost like it could be pulled from a slice-of-life comic. Generally Bennett’s strength lies in the monstrous, but here he pulls back, goes a little easier on the detailing and, voilà, we’re in a different genre. This arc seems to be all about what grief means, in a world where – as Fury points out – death isn’t necessarily permanent. 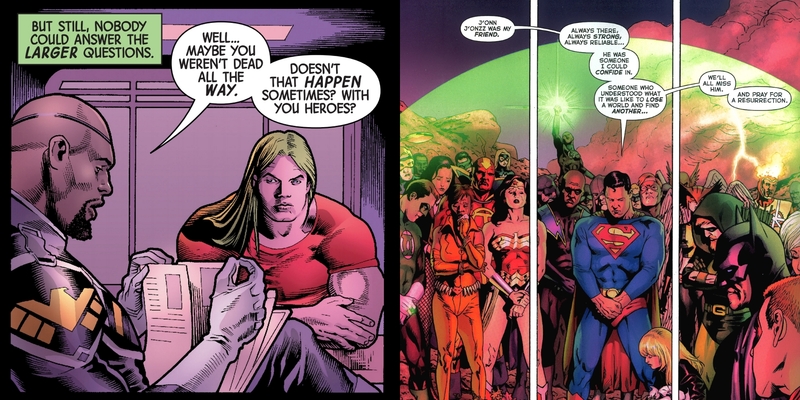 Reminds me of Martian Manhunter’s funeral in Final Crisis. 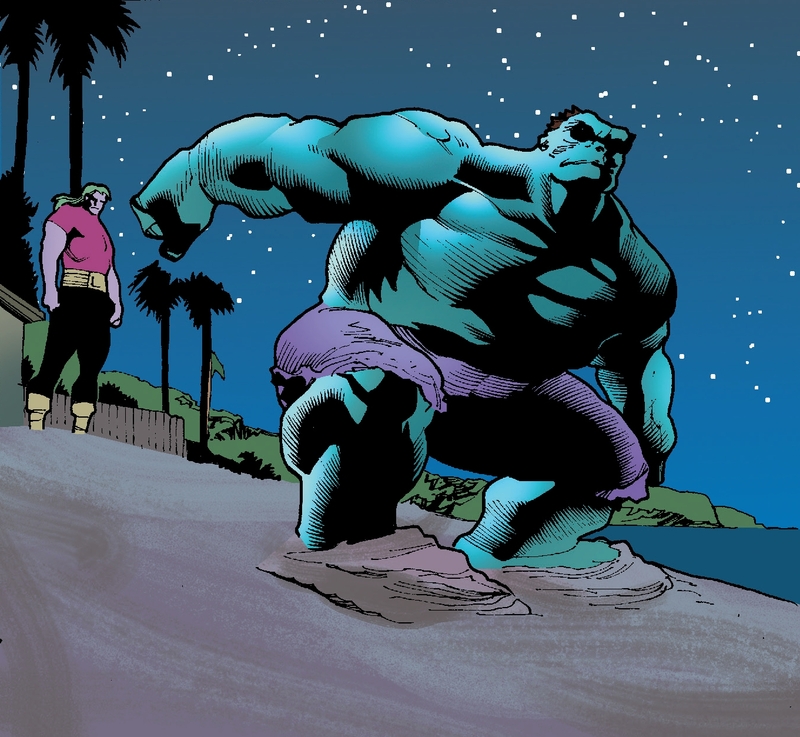 Back to the monstrous, though: Bennett was born to draw the Hulk. His version of the character is uniquely squat and ugly, somehow simultaneously closer to and further from human than we’re used to. 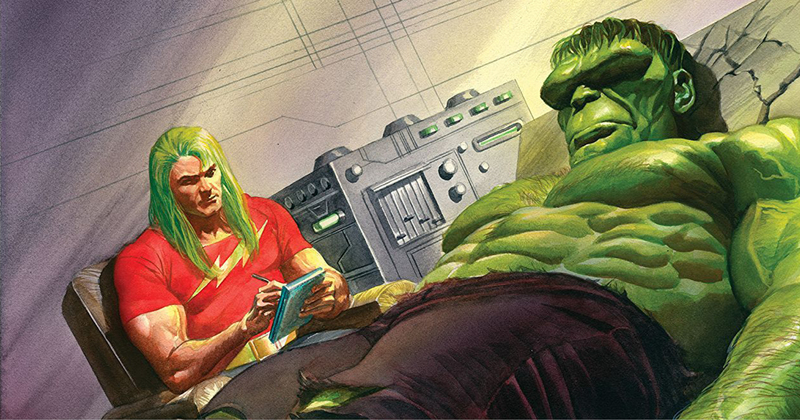 There’s a sequence where Hulk’s brain slowly regenerates, which gives Ewing & Bennett chance to shuffle through incarnations and eras of the character. As the dialogue moves from incoherent yelling through confused toddler to coldly articulate, his appearance evolves too. 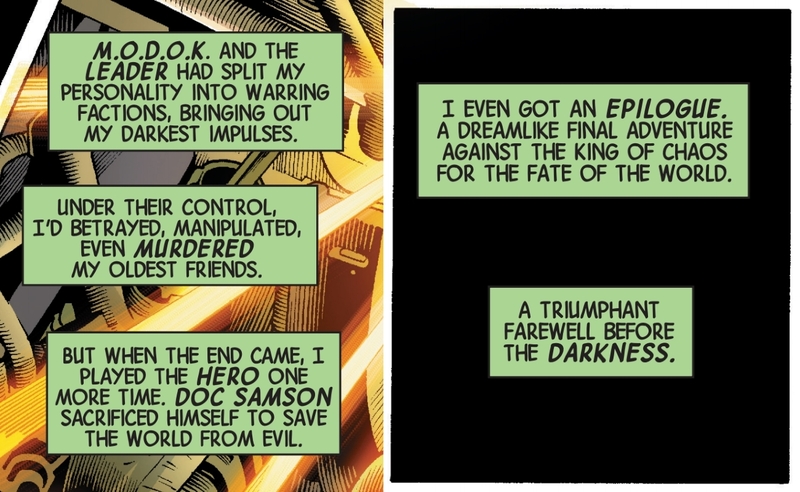 SPOILERS: Hulk’s motivation for wanting to end the world is, I’m sure, how we all feel after spending an hour on Twitter. It’s an inspired adaptation of a character who, in most incarnations, is all about rage. 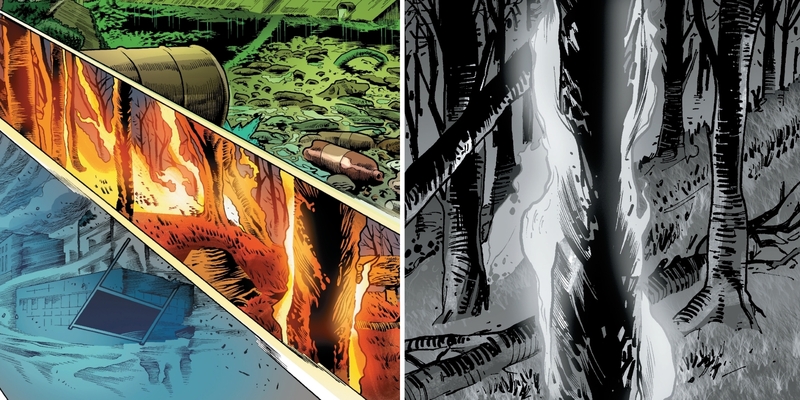 This spread also picks up and recontextualises a recurring bit of imagery from the ‘Hulk in Hell’ issues: the burning tree. 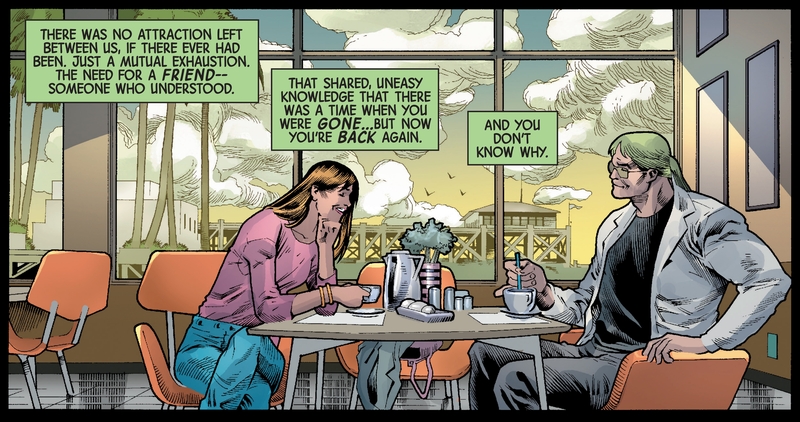 As Immortal Hulk #11 put it: “We were given a miracle world, and we broke it.” Damn. You can find the rest of One Week One Comic in blog-post form here, and on Twitter here. As ever, if you enjoyed this post, and want to help us make more of it, visit patreon.com/timplusalex and pledge to gain access to exclusive blogs, ebooks, mixtapes and more.